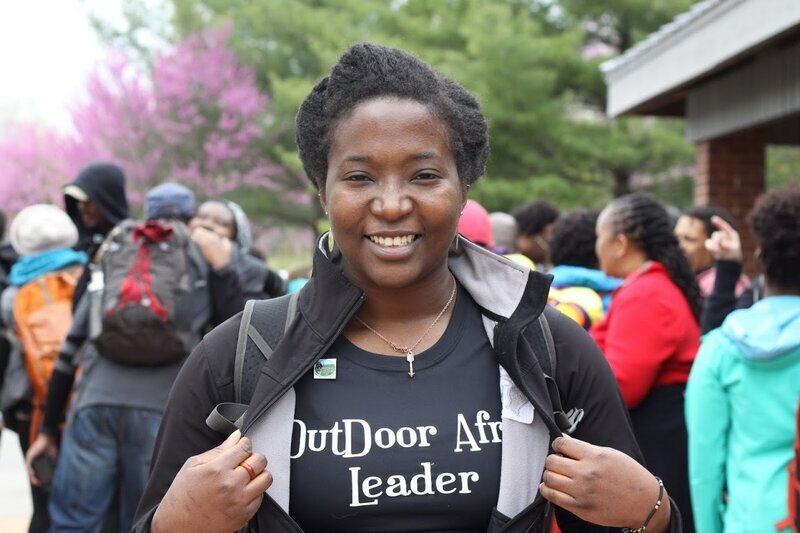 Tamara Johnson is a new Outdoor Afro leader in Atlanta. Rue Mapp started Outdoor Afro in 2009 with a blog and Facebook. The organization spans 18 cities and has 7,000 active members across the country. Just like that, Mapp knew an MBA wasn’t in her near future. Instead, she decided to combine everything she loved — from nature to community to technology — into an organization that would reconnect African-Americans to the outdoors. Training new volunteers and leaders, Mapp insists, is a core element of the program. “I think in order for us to really see a more diverse and representative population of people in nature that looks like America, it’s necessary to have leadership that looks like America,” she says. As part of the latest round of training, Outdoor Afro recently held three days of intensive workshops at the National Conservation Training Center in West Virginia, covering everything from how to dress for different outings, to pointing out flora and fauna, to getting the word out on social media. Almost all of the people there were volunteers being taught how to lead nature excursions back home in their own communities. Some were veterans of the organization, like Zoe Polk. 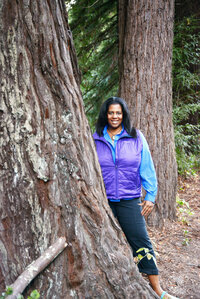 She’s the leadership director for Outdoor Afro and a civil rights attorney in San Francisco. She started leading trips four years ago and remembers her first one as a total flop. When she’s not working as a civil rights attorney, Zoe Polk is training other Outdoor Afro leaders on how to guide novices and experts on excursions in nature. “I chose a snowshoeing trip to Lassen [Volcanic] National Park, about four hours from San Francisco,” Polk said. “There was a lot of interest, but no one came but me. It was a real learning experience about people getting to know me and getting to know what people want to know before they go out.” Keeping that in mind, Polk worked on developing a relationship with the Outdoor Afro community in the Bay Area, and her second excursion — an ecology hike in the Oakland Hills, followed by a barbecue — was a success. Other volunteers at the West Virginia event were brand new, like Tamara Johnson. She’s a wildlife biologist and will be an Outdoor Afro leader in the Atlanta area. Johnson heard about the training through a Facebook post and decided to apply. For her, it has been an emotional experience, an opportunity to be around other passionate outdoor enthusiasts and a chance to help more African-Americans feel at home in spaces that have largely been seen as for whites. 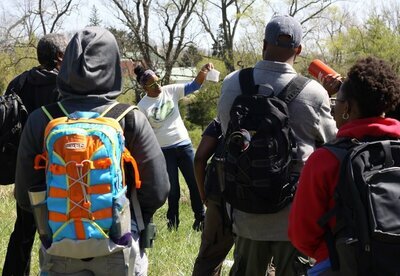 Outdoor Afro leaders and participants are encouraged to share stories connecting nature to black history. For many African-Americans, especially those of an older generation, being outside brings up concerns about safety. 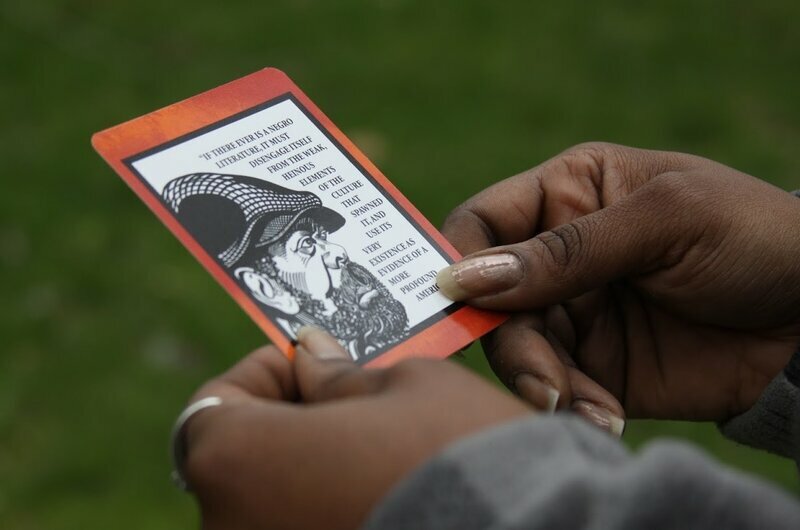 Autumn Saxton-Ross leads Outdoor Afro events around Washington, D.C. Growing up, her grandmother used to take her to Watermelon Hill in Kansas City’s Swope Park. Until desegregation, it was the only place in the park that black people were allowed to visit. With that history in mind, Saxton-Ross’ grandmother wouldn’t take her to other parts of the park, even in the 1980s, long after segregation had ended, for fear that something bad might happen. 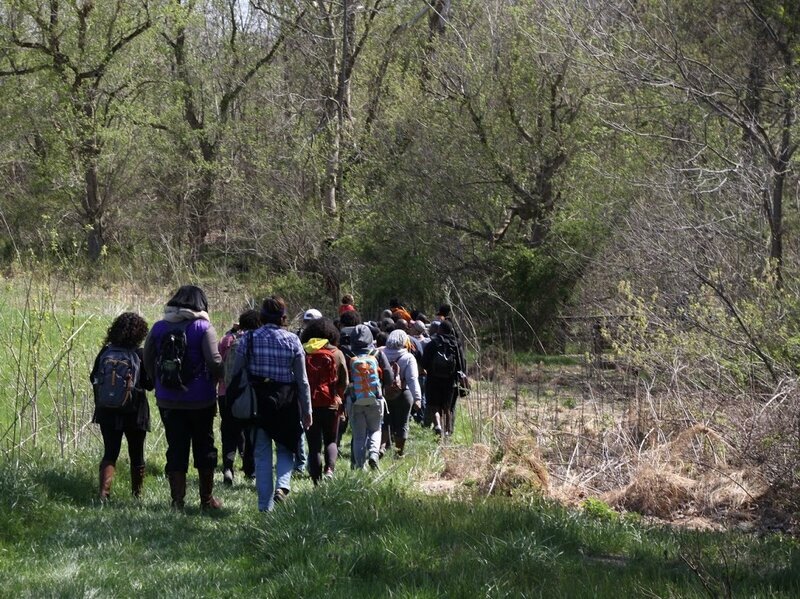 Outdoor Afro leaders are encouraged to reinforce that connection by sharing stories of black history in nature on every excursion. Mapp refers to protesters who marched in Selma as “hikers.” Harriet Tubman, abolitionist and hero of the Underground Railroad, is remembered as a naturalist who understood waterways, astronomy, herbal medicine and geography. That understanding helped her move enslaved Africans from the South to freedom in the North. George Washington Carver is honored as a scientist who employed sustainable agricultural practices more than a century ago. For Rue Mapp, getting people outside and enjoying fresh air is the first and most important step in reconnecting people of color to those bigger outdoor spaces, and in helping them realize that those places are, in fact, for everyone.